The clients for this house searched for a place to retire for years finally finding this site. They have moved from inland to live by the beach for the first time. Set on the sand dunes this house was an opportunity to investigate what form and materials were appropriate for this location. The site is long and narrow, the house and land of a neighbour rises to the north, stunning views to the West of Kapiti and the top of the South Island are available and all define the site on the top of the sand dune. The house is broken into zones of occupancy. Daily spaces line the North face including a sheltered sunny courtyard with the guest and entertainment spaces down the south. 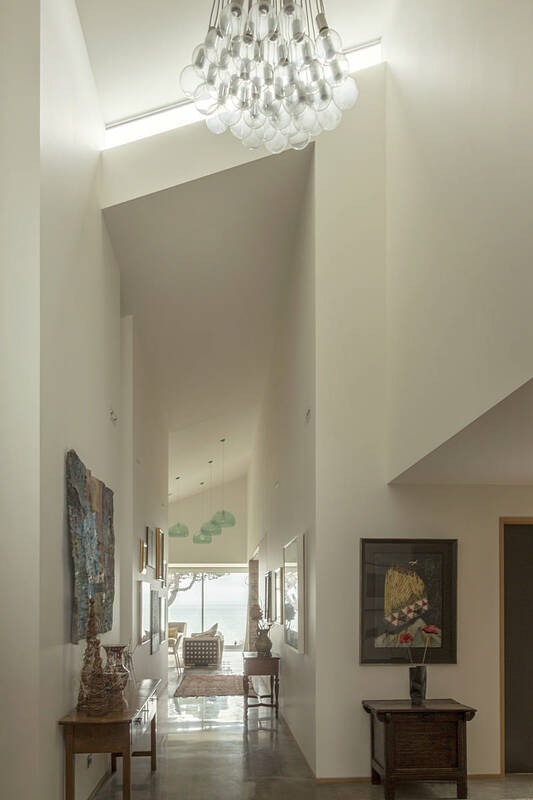 A grand double height entry turns into a gallery and splits the house down the centre. This frames the view to the west which is the first glimpse of the sea. The master bedroom and ancillary space are on the first floor to maximise privacy and security. The materials were selected for their raw natural colours and textures, the appropriateness for location and quality of finish when attention to detail is high. Cast in-situ concrete walls textured with Douglas Fir board and polished concrete floor forms the solid foundation. 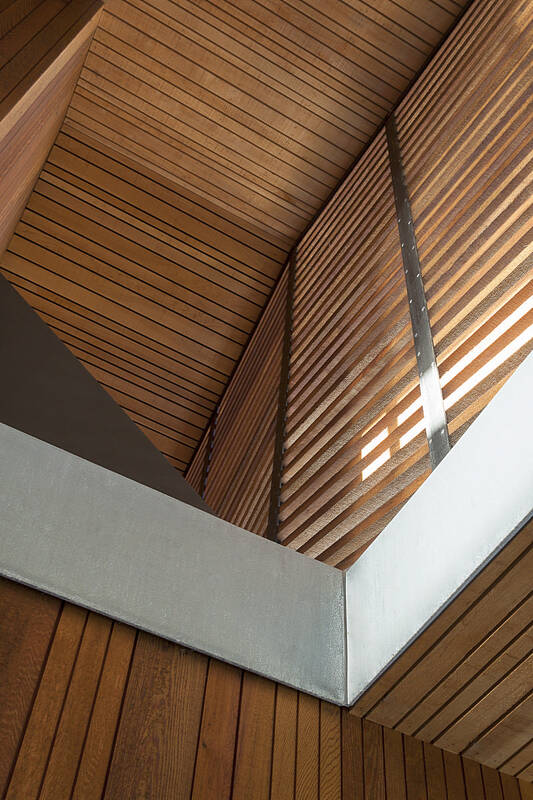 Vertical cedar weatherboards fill in the gaps not glazed with painted walls and timber trim to the interior. A zinc roof completes the palette. The views to the west and the entry to the east are framed by a box with the dominant form of the roof and its scale like zinc tiles wrapping the structure. The gill windows, formed by sliding the roof open, let light penetrate deep giving the high voids a light and airy feeling.